House of Isis keeps the a wide range of crystals and semi-precious stones from Africa and the World. 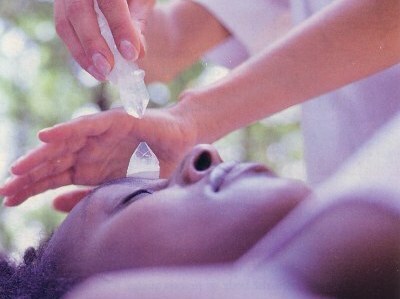 Crystal Healing is an alternative medicine technique that employs stones and crystals as healing tools. The practitioner places crystals on different parts of the body, often corresponding to chakras, or places crystals around the body in an attempt to construct an energy grid, which surrounds the client with healing energy. When the stones are placed in the area of the chakras, the colour of the stones may correspond to the colour which is associated with the corresponding chakra. Going from the tail bone to the top of the head, the colours are red, orange, yellow, green, blue, indigo, violet. Stones may also be used at the feet in an attempt at grounding the individual, or held in the hands.